I used to be in a recipe club where you were assigned a random blog to read or stalk in my case each month. My blog assignment this month was Farmgirl Gourmet. 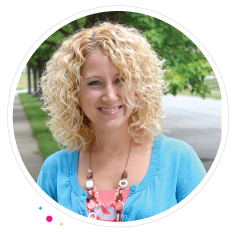 A true farm girl at heart, Heather shares fun and easy recipe from her kitchen. She also is a big fan of buying local and grows many things in her own garden. Those are two things that I would like to do more of here. She was a true inspiration to me as I read through many of her great recipes. I always have the hardest time narrowing down my SRC choice, and again this month I had a list to choose from. A few of my favorites that I wanted to try were Mexican Lasagna, Cinnamon Yogurt Scones, and Pumpkin Challah Pudding. All of those sound so good! But then I saw her most viewed recipe from her blog was the Pumpkin Spice Latte. 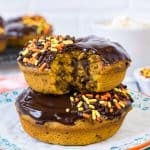 Just the other day, I opened my first can of pumpkin to make these pumpkin Oreo donuts, and I had the leftover pumpkin in my fridge just waiting for the right recipe. 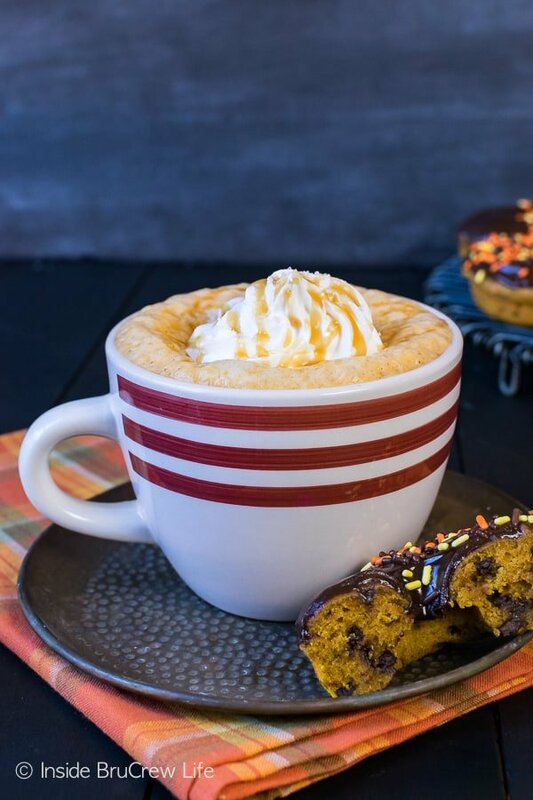 Since I am now on a true pumpkin kick, and I love to have a good cup of coffee by my side in the morning when I do some reading, I knew this would be the recipe for my reveal. What kind of milk do you use in a homemade latte? You can use any kind of milk in this latte, so feel free to use whole, 2%, almond, or fat free. Basically whatever in your fridge at the moment is fine! We drink fat free, so this is even a slightly skinny drink. Well, it was until I substituted caramel ice cream topping for the sugar! Wink, wink! At least I tried to get rid of some calories for you, right? That has to count somehow! It was so easy to throw everything into a pan and warm it up slowly on the stove. To froth the warm milk mixture, you can use an aerolatte or your blender. The blender mades frothing so easy. Even fat free milk can get a good froth going on that way. 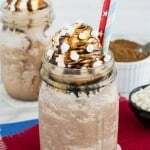 You can also pour the mixture into a mason jar, tighten the lid, and shake until frothy. Pour your coffee into two mugs and divide the frothed milk between the two. One other thing I slightly changed was how much coffee I added. I wanted a slightly stronger coffee taste, so I double the amount. Cool Whip, extra caramel drizzles on top, and sea salt make this easy homemade latte look like a coffee shop drink. 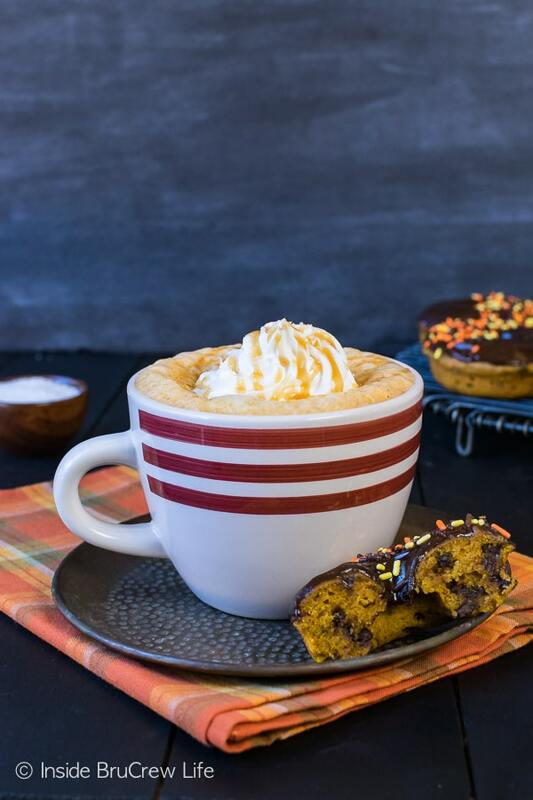 A Salted Caramel Pumpkin Latte, quietness, good books to study, and a few Chocolate Chip Pumpkin Donuts are the best way to enjoy this easy coffee drink. Now if only the weather would cooperate and get cool! *This post does contain an affiliate link. We may receive a small percentage from sales made through these links. As always, these do not cost you any extra. Thank you for letting us share products this way. 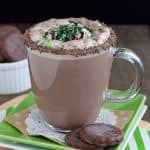 This sounds like heaven in a mug!!! I had Heather a couple months ago. She’s one of my favorites! Great choice! 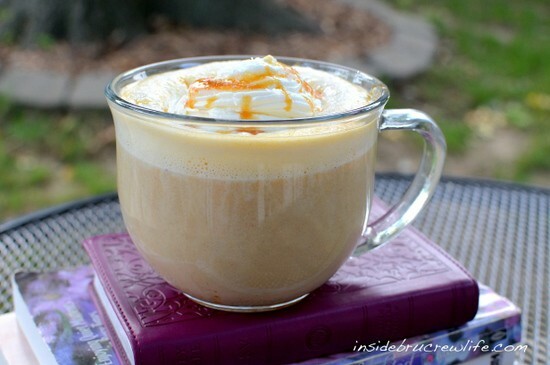 I talked about pumpkin coffee love in my SRC post today…. where I had YOU! Perfect for a quiet morning…now if I could just find one of those 😉 Actually, I’d take this any time of day in the midst of my chaos – love that it’s salted caramel! I’ve never tried anything like this before so would be curious as to it’s taste. Would you happen to know if there is a substitute for cool whip? I’m not sure I can get that here in the UK. PS I also have my eye on your pumpkin oreo cheesecake which looks amazing! I love making pumpkin lattes at home and yours takes the cake! So creamy looking and with caramel, mmmmmmm! The salted caramel took it over the top…so good!!! oh wow, this looks absolutely delicious! I make a homemade pumpkin spice latte, + i love the addition of the salted caramel in this. yum! This looks like heaven, I mean it! I think I’m going to have left over pumpkin today, and I know how I’m going to use it! Thanks for this! I enjoyed it totally…even with 90* weather! I love pumpkin that much!!! Thanks for a great recipe! Wowza, this drink really caught my eye! So cozy! I’d love one of those curled up on the couch about now!! 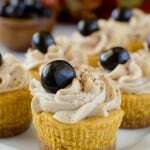 Those look and sound delish – I used pumpkin in some cinnamon rolls last week and now I’m ready for everything pumpkin! One word for this: DELISH. I am so glad you published this recipe because with the fall weather approaching, I’m going to want to make all my coffees at home! YUM!! YES! I am totally ready for fall and the pumpkin-y spiced drinks (and food). Sooo glad you posted this so I can have it in my aresenal for cooler weather (if we ever get any–what’s up with that?!?!). I am still waiting for cooler weather too. We had about 2 days of 60’s and then back to the 90’s. Wow, this looks so perfect for an evening in front of the fire and TV snuggled up with a blanket when the evening start cooling down since autumn is impending! I’m not a coffee girl myself but my fella is. Pumpkin is my favorite fall flavor and I love pumpkin coffee so much that I stop at Dunkin every morning for their pumpkin spice coffee! The thought of making for myself on the weekend makes me SOOO happy!! Thanks for sharing! That looks delicious and perfect for autumn! What a perfect recipe for fall — I’ll keep this one tucked away for Bible study meetings in just a few weeks. Looks amazing. And, makes me long for fall!! Fall is right around the corner and I’m stock-piling recipes to make. This is definintely going on the list. It sounds fabulous; I love pumpkin and salted caramel so I can’t wait to try it together! Hello Fall! I love it. I’m drooling which is really not good but wow this looks delicious! Ooooh…Jocelyn. I can’t wait to try this!!! Great idea for upcoming fall! Come on Fall and cool weather, I’m ready for one of these! Looks so warm and inviting..perfect for the cool fall days! Great SRC pick! Looks good, but too rich for me! This sounds AMAZING!! I’m definitely going to whip up a batch of these this fall! What a delicious choice for SRC! This looks so good, I want one now! Thanks. I am in such a pumpkin mood now that I broke out the first can!!! Yum! Saving this to try as soon as I can get a can of pumpkin. I’m so glad that I’m following you! This looks wonderful! I’m so ready for fall now:) Thanks for posting on Lil Luna link party! Now I can’t wait till Fall. Oh who am I kidding, I’ll just turn up the air, I gotta try this and SOON! Oh my word, that looks SOOOOO good! My goodness. I need to make this now! Come on fall! wow….. i mean just wow…. this will completely change the way i celebrate autumn! It is the perfect fall drink! Definitely celebrate with it!!! This looks way too temping and tasty. 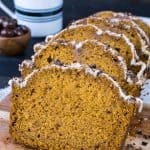 Adding pumpkin to my next shopping list… and this recipe to my to-try list. 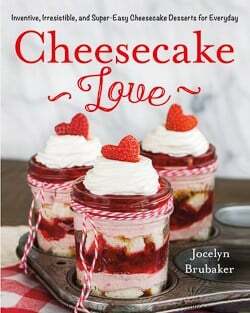 Hi Jocelyn : ) Dropping by to let you know that your recipe was chosen for this weeks Secret Recipe Club Editor’s Choice Award! Come by and check out your recipe highlight on SRC, and grab the button to display on your blog if you’d like. This looks delicious and I’m going to include it in my post, Frivolous Friday-Fall is Upon Us. Thank you. very very yummy! so happy autumn is on the way. I love the photo with the drink on the books… makes me think of drinking it while reading in the garden! 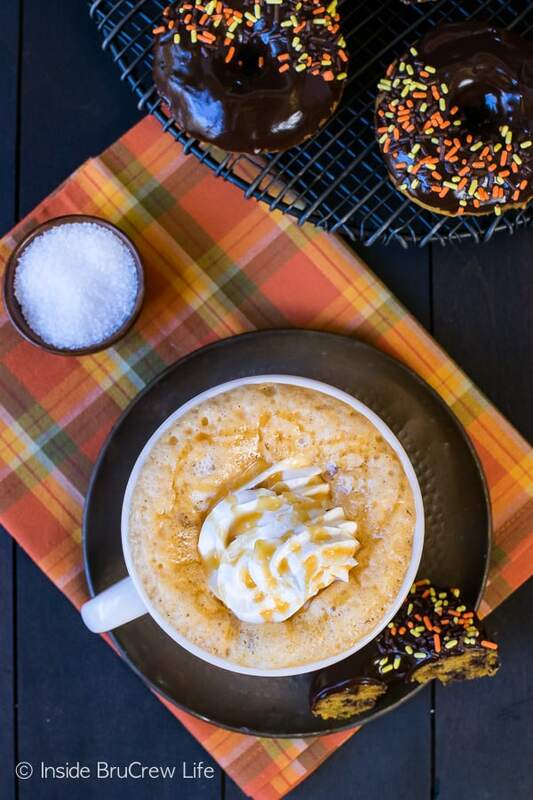 I’m so ready for one of these comforting pumpkin lattes!!! Yummo. Bring it, Fall! Could you make the flavor in bulk and store it so it doesn’t have to be put together and cooked every time? I have only ever made it one drink at a time. My thoughts are that I think it could be made a few days in advance. You need to heat it up every time though to put in the blender to get the froth on top. is there an error in the recipe? 2 Tablespoons of vanilla??? No, that is actually how much is in this particular one. The original recipe had that much too. Feel free to adjust it to your liking though! OK! I made it and I love it, although I used frozen pumpkin (I always have a reserve 🙂 ) and I also used almond milk instead of real milk 😛 All in all a great recipe! Thank you! I am so glad you tried it and loved it!!! 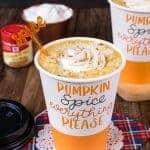 I would love to try this salted caramel pumpkin latte but I really dislike coffee, do you think this would work with hot chocolate? I think it would work with hot chocolate too! It actually sounds pretty good that way!!! Keep me posted on how you like it!